November 20 1909 -- Here we have Herriman putting in a lot of cartooning work to illustrate a non-story. This one is about a court case in which the judge called an adjournment for the day in the middle of the prosecutor's case. This is really not noteworthy, but some reporter who sat in the courtroom all day with nothing to show for it came up with a very slender hook on which to hang a publishable story. It is surprising, I guess, that it took so long for politicians to fully realize the benefit they could gain by feeding nothingburgers to reporters. Reporters good and bad are always in search of copy, and if they are at all lazy, or tired, or set upon by an editor, they'll take pretty much any shiny bit of bait they see. A current resident in Washington has turned that process into a fine art, and reporters seem helpless to ignore the bait, even when they realize exactly what he's up to. Here's another card from the Detroit Publishing Company's Gibson series, this one number 14029. This drawing originally ran in Life in 1895, and I cannot fathom why they would have resurrected it for this card. The composition is awkward, and the man and woman seem not to be quite perfectly tethered to the ground. The gag, unless I'm missing something, is not put across well at all (I guess the two were smooching before the man with the trunk arrived?). This card, like my other Gibsons, is unused. It has an undivided back, placing it pre-1907. Looks to me like an illustration for a story, not a gag cartoon per se. I do recall a Gibson cartoon showing two sweeties on a couch, and you can tell from the crushed puffed sleeve on the lady that they had been candoodling close just a second or two before the scene. Here, the clothes are not deranged. The trunk seems like it's poorly packed. This is a freestanding cartoon, and that's the original caption. The couple are newlyweds almost caught in the act; hence the awkward, hastily assumed postures. Clothes are not deranged, but the bride's hat and hair are out of kilter and she looks a bit rattled. The elegant groom dropped hat and cane on the floor; their position suggests some action between the two chairs. The newspaper is an odd touch; wonder if Gibson meant us to think the man is oh so casually covering his naughty bits. Hints that they're newlyweds: "Their room" has a sign by the door, implying a hotel. Those are big limp bows decorating the trunk, perhaps indicating that it and the couple came straight from the wedding venue. Fair enough, I see your points readily. After devoting such a long time to Hearst magazine covers last month, let's cleanse the palate with one from Pulitzer. Although the St. Louis Post-Dispatch was where Joseph Pulitzer began his newspaper empire, once he had the New York World, the P-D ceased to be the flagship paper in the chain. 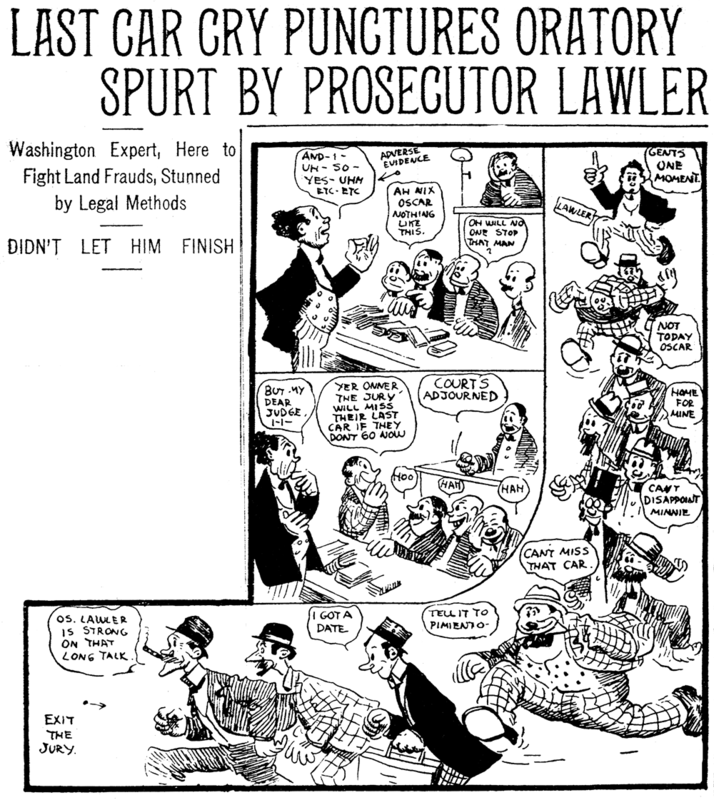 Most but not quite all comics and features issued forth from the World, but every once in a while the Post-Dispatch threw its weight around, replacing those issued features with local content. An example of that is Fascinating Phyllis, which was used on the Sunday magazine covers of the Post-Dispatch for awhile instead of the New York material. 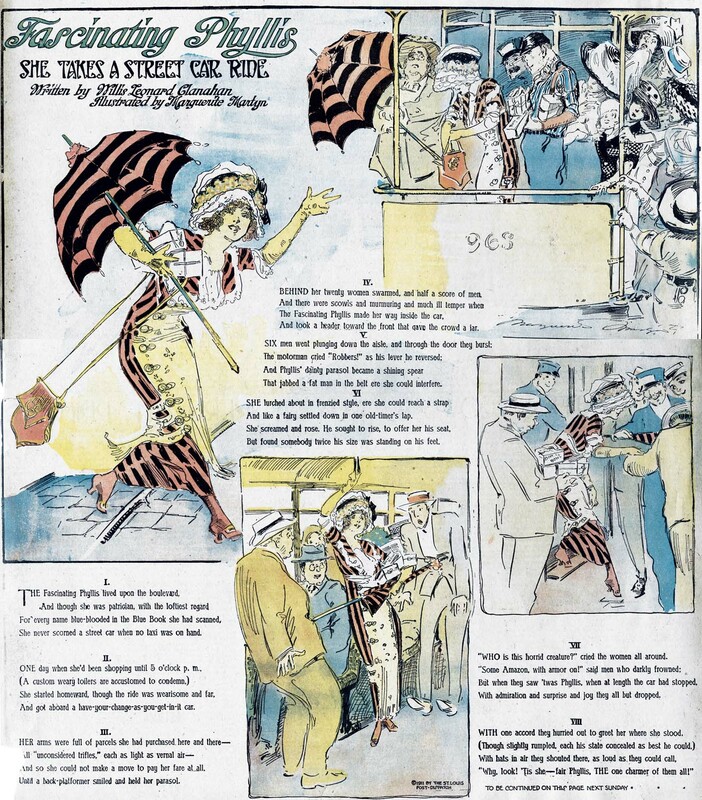 This pretty girl cover series was first seen on May 14 1911, before the pretty girl magazine cover story strip had even become a standard trope. 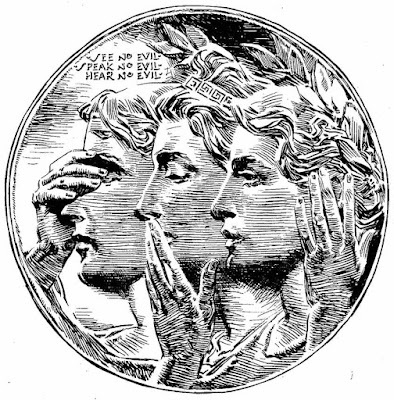 The pleasant art was by Marguerite Martyn, who was employed for many years at the Post-Dispatch in both an artistic and reportorial capacity. The verse was supplied by Willis Leonard Clanahan, who shows up on the interwebs for a few published stories and songs. 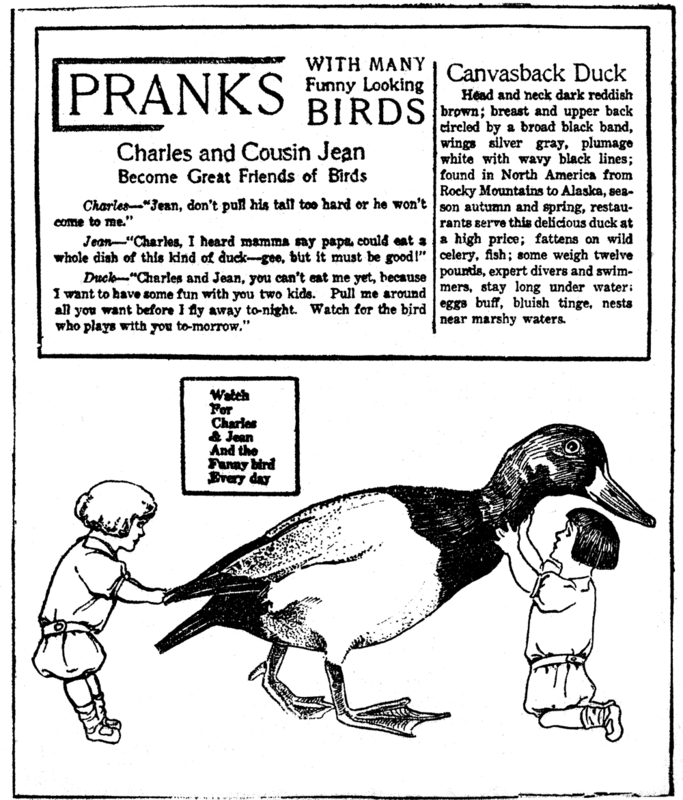 Fascinating Phyllis ran on the Sunday magazine covers in the P-D through August 27 1911. Annette Heald Bradshaw was born on January 24, 1879 in San Francisco, California. Bradshaw’s full name and birth information are from her Social Security application (viewed at Ancestry.com) which also had her parents’ names, George H. Bradshaw and Ella Smart. The 1880 U.S. Federal Census recorded Bradshaw’s first name as Avis who was the youngest of four siblings. Her father was a stock broker and her mother a housewife. The household included Bradshaw’s paternal grandmother and uncle. They resided in San Francisco at 2107 California Street. Miss Bradshaw was born in San Francisco, and even before she had finished high school, showed so decided an ability for “making pictures” that she was allowed to follow the bent of her inclination and devote herself to the study of art. When she was about eighteen she became connected with the illustrations, caricatures and, sometimes, cartoons but all the time she worked and studied to realize her ambition to become a portrait painter. According to the 1900 census Bradshaw was a newspaper artist who lived in San Francisco at 703 Sutter Street. Her birth month was recorded as May. 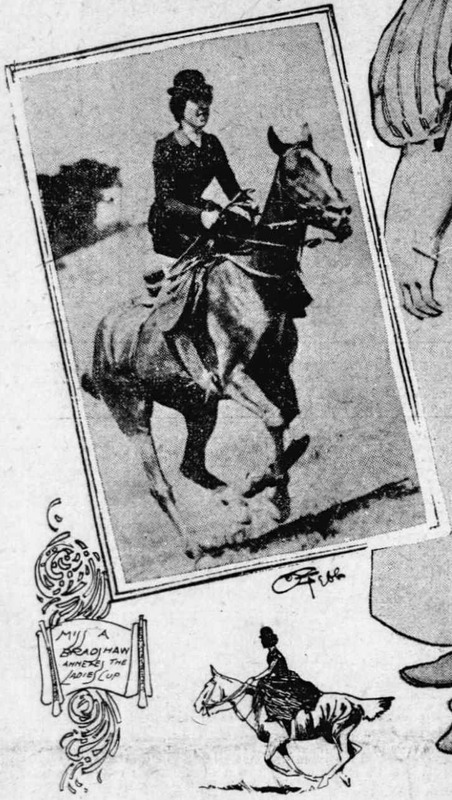 I believe the San Francisco Call, September 1, 1901, published a photograph of Bradshaw on horseback. The spot illustrations are by C.E. Tebbs. At some point Bradshaw moved to New York City where she married Charles E. Tebbs, an English artist, in Manhattan on October 6, 1902. Their marriage was reported in the San Francisco Call twenty-two days later. Annette Bradshaw and Charles Tebbs Formerly of Call Staff Joined in Wedlock. News has just reached here of the marriage in New York of Miss Annette H. Bradshaw to Charles Ernest Tebbs. Until recently both were numbered among the popular newspaper artists of this city. The couple were joined in wedlock at St. Michael’s Church on Monday, October 6. 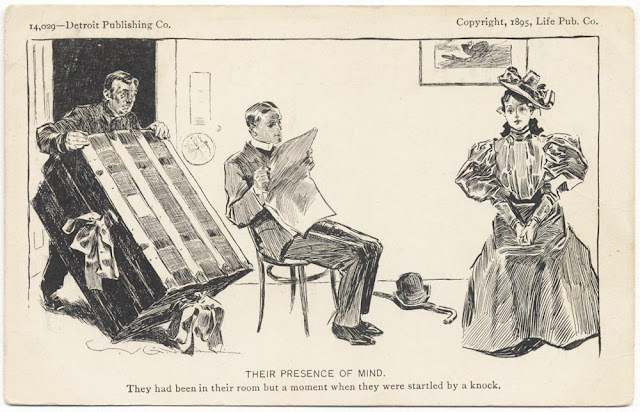 The announcement of the marriage of the young newspaper artists was not a surprise to their many friends in this city as it has been known for some time that they were engaged. Both Mr. and Mrs. Tebbs were employed on The Call art staff for several years. Mrs. Tebbs is a handsome brunette, well liked socially and withal a clever artist. The groom’s home is in New York, but he was employed on the newspapers of this city for several years. The 1905 New York state census said housekeeper Bradshaw and her husband lived with his brother, also an artist, in Manhattan at 26 West 97th Street. Bradshaw’s letter was published in The Craftsman, February 1905. On July 30, 1908, Bradshaw and her daughter, Helen, sailed on the Merida from Veracruz, Mexico. They arrived in New York City August 7. The following year Bradshaw and her husband visited England. They returned to New York aboard the steamship Mauretania on November 25, 1909. Bradshaw contributed an article, “The Farming Experiment of a Woman”, to American Homes and Gardens, November 1908. 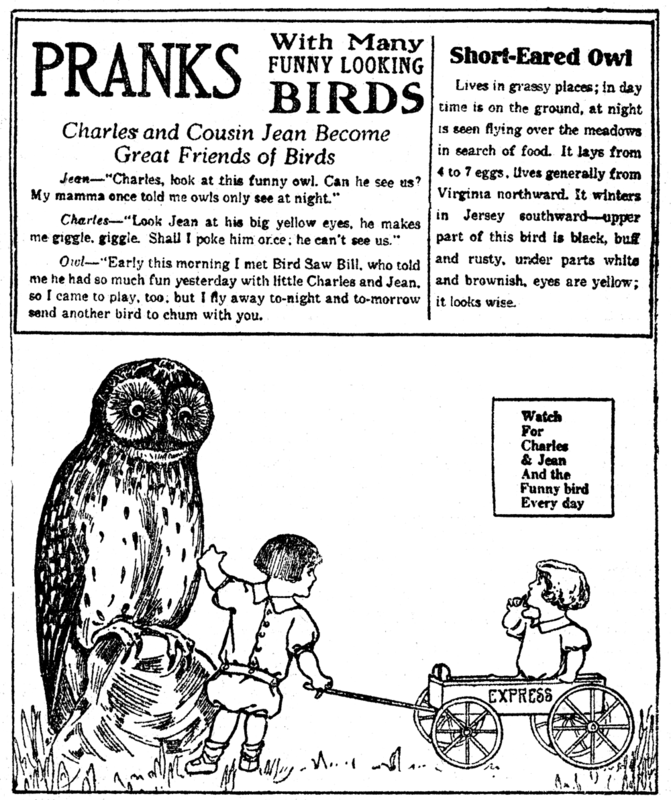 The Brooklyn Daily Eagle, January 31, 1909, said Bradshaw was one of the guests at the Lakewood Hotel. 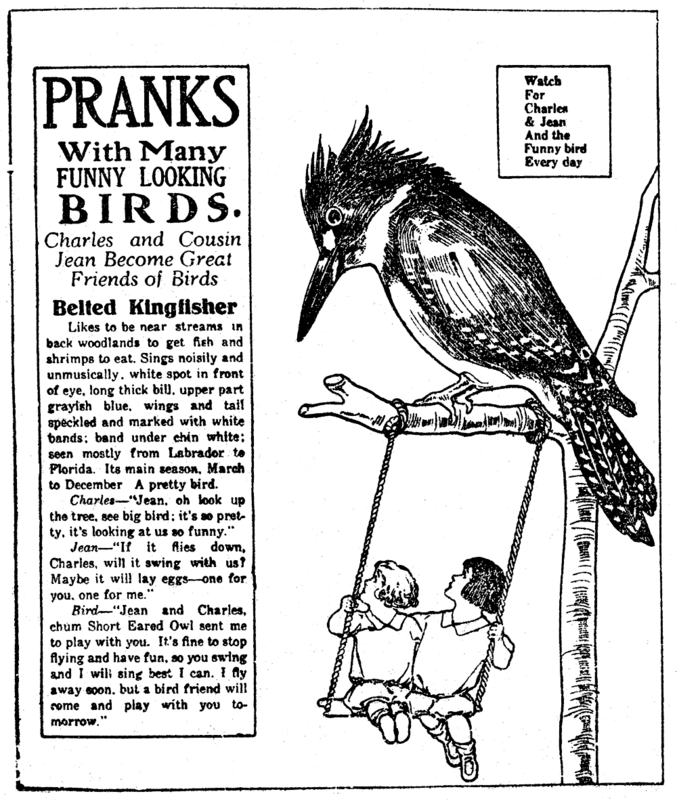 In April 1909 Bradshaw copyrighted one her of her designs. Bradshaw patented a design according to the Official Gazette of the United States Patent Office, July 27, 1909. Bradshaw has not yet been found in the 1910 census. Collier’s, May 13, 1911, printed Bradshaw’s “The Fashion in Woman’s Hat Plumage”. 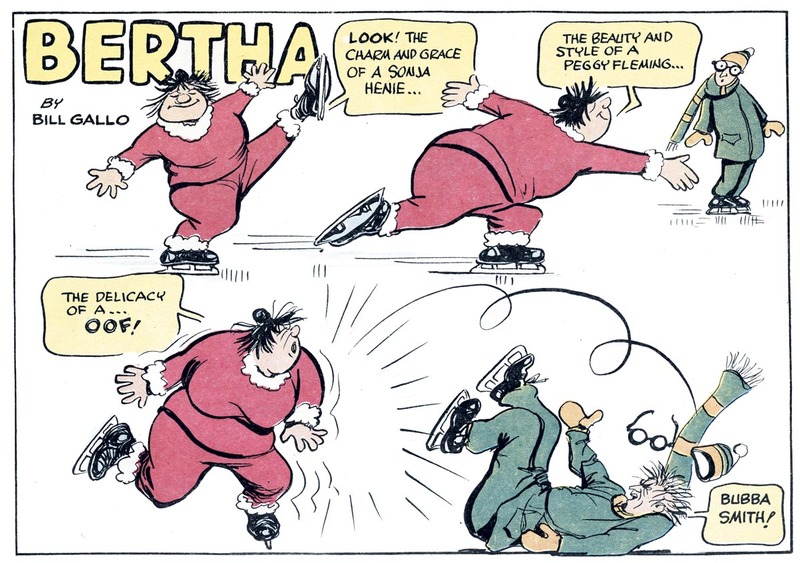 American Newspaper Comics (2012) said Bradshaw was one of several artists to draw Romantic Cartoons for the Newspaper Feature Service, a Hearst syndicate. The series began with Gustav Michelson on December 8, 1913. Bradshaw produced it from August 25, 1914 to June 30, 1926 with contributions by other artists during her run. The series was also known as Feminine Foibles, Feminisms, and Her Problem. 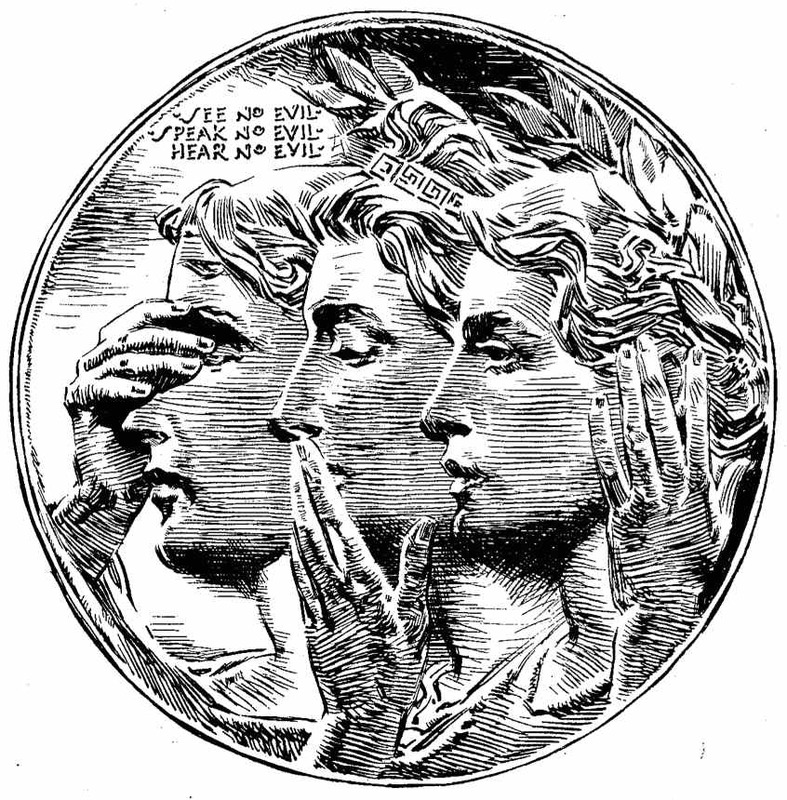 After a while Miss Bradshaw came to New York where she worked for ten years for various metropolitan dailies, doing news illustrations of the big events of the day that lent themselves to vivid portrayal. During this time her deft pencil drew most of the famous characters brought into the focus of the newspaper lime-light, from Nan Patterson to Harry Thaw and alternating these “heart-interest” assignments with opening days at horseshows, notable weddings and similar spectacular events. All the time Miss Bradshaw was leading a double art life—that is she was doing a certain amount of work each day in her up-town studio and was rapidly winning a place as a portrait painter, the work to which she now gives practically all of her time save that which she devotes to her “Feminisms” and “Her Problems”. “I cannot entirely sever myself from the old life in black and white and the occasional smell of printer’s ink,” she declares, “and the social cartoons are, sort of connecting link”. Miss Bradshaw’s newspaper work has, among other things, made her an expert in fashions, but her inherent love of caricature and her unusual sense of humor has led her to make the lay figures, upon which her fashions are displayed pictorially, really human—just folks—such folks as one sew stopping or at theatres, or in uptown hotels or restaurants and with all the amusing idiosycrasies [sic] which even fashionably dressed people show at times. The Brooklyn Daily Eagle, August 20, 1916, said Bradshaw and her husband were guests at a clambake. According to the New York, New York, Marriage License Index (at Ancestry.com), Bradsahw married James D. Grant in Manhattan on June 29, 1918. In the 1920 census, Bradshaw, her husband and daughter were Syracuse, New York residents at 253 Dewitt Street. Bradshaw’s occupation was recorded as “none” while her husband was a manager of electrical supplies. The Commercial Register (1920) had this listing: “Tebbs Annette B. (Miss), 45 W. 11th. Artist, 37 W. 39th. 2 3”. 1925 New York state census recorded artist Bradshaw and her family as Manhattanites at 19 Gramercy Park. Her husband was an accountant and her daughter an interior decorator. 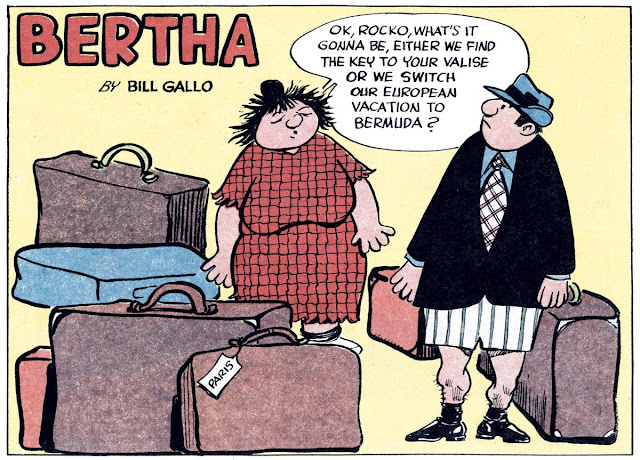 On February 23, 1928, Bradshaw departed Buenos Aires, Argentina. She arrived in New York on March 13. Her address on the passenger list was 1 Lexington Avenue, New York City. In 1935 Bradshaw sailed from New York, November 2, to San Diego, November 16. Her address was 42 West 35th Street, New York City. Her companion was seven-year-old Dwight Prouty. According to the 1940 census, “Pronty” was a grandson born in Buenos Aires. Bradshaw, her husband and grandson made their home in Los Angeles at 5717 Melvin. Bradshaw was a photography agent while her husband was a mining business promoter. In 1935 they lived in Queens, New York. On July 4, 1946 Bradshaw flew from Mexico to Burbank, California. Her address was 2149 Wall Street, San Bernadino, California, which was the home of her sister, Mrs. Lucy E. Fowble. Bradshaw passed away December 7, 1952, in Cuernavaca, Morelos, Mexico, according to the American Foreign Service’s Report of the Death of an American Citizen (viewed at Ancestry,com). The cause of death was “Infarct of the Myocardium” or heart attack. The cremated remains were delivered to Bradshaw’s daughter, Mrs. Helen Flood. Also mentioned were Bradshaw’s sisters, Fowble of San Bernadino and Mrs. Francis G. McCann of Cuernavaca. Just a few minor things: In 1910, 6-year-old Helen Tebbs was living with her maternal grandmother in Maine, suggesting that Annette and Charles may have been travelling abroad again. Also, her grandson's name was Dwight Prouty, III.